Famed nail polish brand JINsoon has teamed up with Gwyneth Paltrow’s Goop for two limited-edition sets of nail polish. “For me, Goop has always represented the best of living and style, integrating simple luxuries into everyday life, which is synergetic with the JINsoon philosophy,” said owner and nail artist Jin Soon Choi about the collaboration. 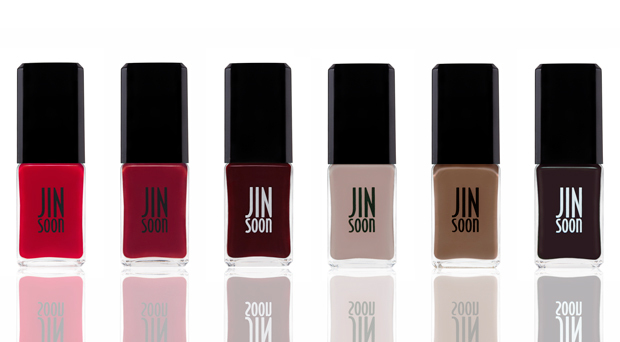 The Classics 1 and Classics 2 sets each contain three “staple nail lacquers designed to add an elegant touch to fingertips.” Classics 1 is made up of Demure, a pale pink that is new to the JINsoon collection, Dul-cet, a toffee beige that is also being debuted, and a black-red shade by the name of Risque. Classics 2 has one newcomer, Vanity, a hot red lacquer, and also features Coquette, a classic red, and Audacity, a deep burgundy color. The collection will have a limited-edition run and retail for $48 per set on Goop starting today.